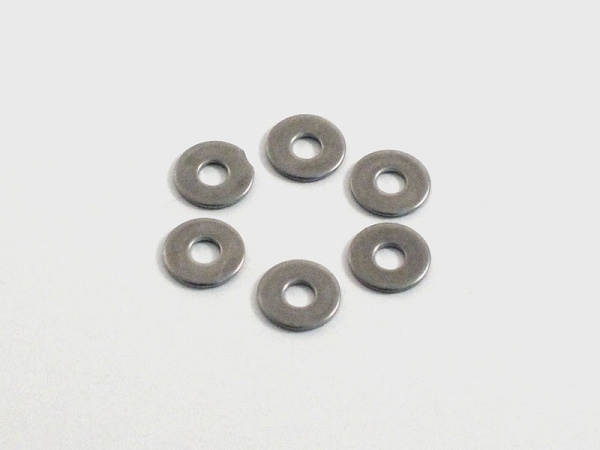 Use these washers to adjust your rear toe or track width on your XRAY or AE Touring Car. Each 0.7mm washer equals 1 degree of toe in. Due to the bigger diameter of these washers, they also help have more surface contact between the bulkhead and the suspension mount which prevents the suspension mounts from moving as easily.